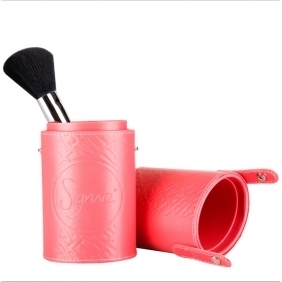 The sigma Make Me Essential Kit is specially designed for proffesional makeup application. 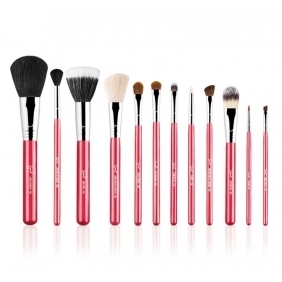 This set contains 12 brushes which for all the make up you can use . E05 eyelier : Create smooth lines. Use with gel eyelier cream E03 pencil : Soften and smoke out lines. Soften pencil liners along the top and bottom lash lines, add shadow to line the eyes, or use to highlight inner corner of eyes. E40 tapered blending : Soft blended crease. 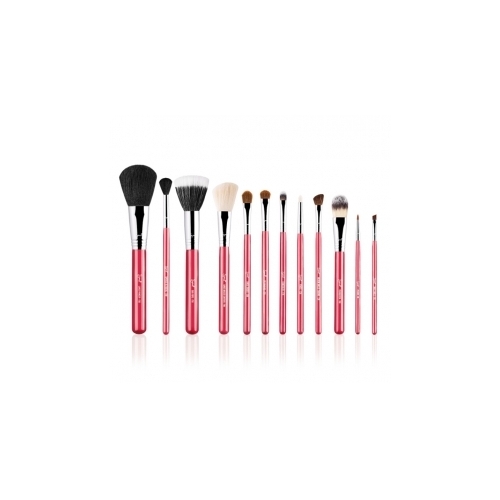 Using just the tips to apply color, sweep back and forth through the crease for a diffused and blended finish. E55 eyeshading : Even application of color. Place color across the whole lid for an even and strong application of product. E60 large shader :: Uniformly cover the whole lid with product. Apply cream shadow base or cream shadow for quick and even coverage. E65 small angle : Create precise lining. Moves fluidly and easily across the upper and lower lash lines. Use with gel, cream or powder liners. E70 medium angled shading : Soft application of color. Use for brow highlighting or to blend the crease. F30 large powder : Even powder application. Uniform blending of powder products onto the face and body. F40 large angled contour : Subtle cheek application. Use the angle to softly contour the cheekbone. Can also be used to apply blush. F50 duo fibre : Creates an airbrush effect onto the skin. 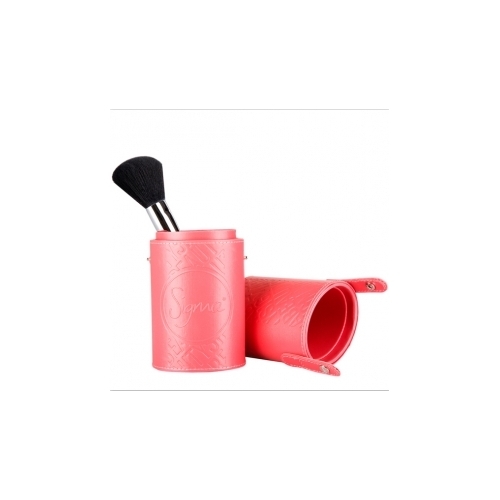 Can be used with powder, liquid or cream products. F60 Foundation : Smooth foundation application. Apply liquid or cream products such as foundation and primer. F70 concealer: Conceal small areas. Conceal the hardest to reach areas such as around the nose and eyes. Awesome awesome seller and products- great communication- products wrapped sealed and perfect! Will order again- don’t hesitate to purchase - perfection! !